ST. GEORGE – In the foreseeable future, West Black Hill, formerly the site of the St. George Airport, will be transformed into an expansive campus offering meaningful education to the community. Dixie Applied Technology College acquired the property in 2012 and is now in the process of redefining their institution. 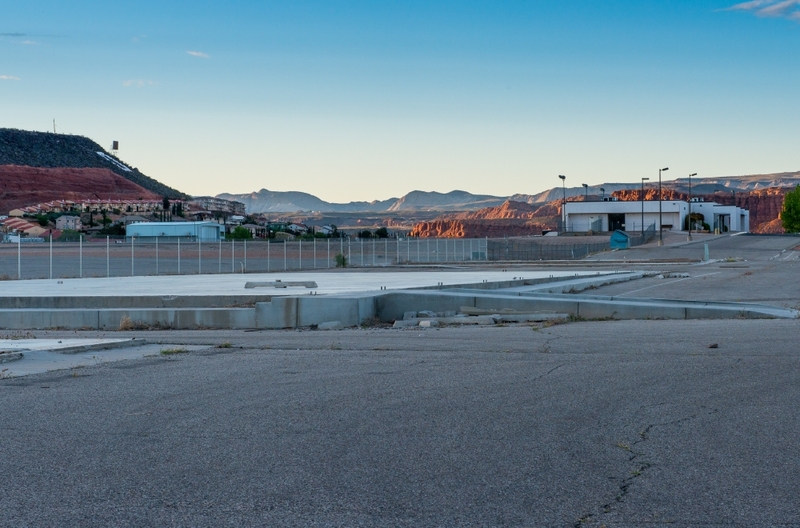 DXATC is leasing the property for their current campus in the Tonaquint area from the City of St. George. That lease expires in July 2016, which the school has set as its deadline for completion of the campus project. The city donated 10 acres, the terminal and runway (valued at $3.4 million), while the Utah State Legislature provided DXATC with $2.5 million, with which they purchased 20 more acres. The school has already put the property to use, holding emergency and wildland fire training on the runway and partnering with Family Dollar to train employees of their new St. George distribution center in the terminal. The terminal will soon become the DXATC Emergency Response Center and offer fire, law enforcement, EMT and CPR training, among other classes. But the building must be completely remodeled before those programs can advance any further. The cost of the remodeling of the terminal is estimated at $400,000, which will be funded by state dollars and private donations. The school’s goal is to finish in time to hold classes in the terminal for the 2013-14 school year. The terminal renovation is the first step in the construction of an entirely new $20 million campus on West Black Hill. The facility will consist of several buildings offering more programs and serving more students than ever before, and DXATC will move when it is complete. DXATC President Kelle Stephens said that the school is still several years away from making that vision a reality, but she is determined to follow through. “We have been working towards a new campus since the school was founded,” Stephens said. DXATC was created through House Bill 1003 during a special session of the 2001 Utah State Legislature that formed the Utah College of Applied Technology. The institution includes DXATC and seven other regional campuses throughout the state that specialize in skill and competency-based training. 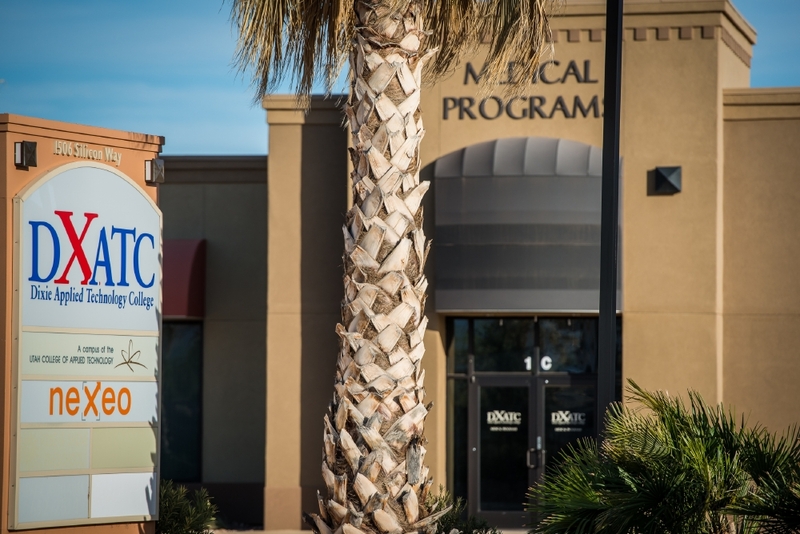 DXATC’s main campus, located at 1506 South Silicon Way in St. George, is home to a school dedicated entirely to teaching skills specific to the local industry with hopes of guaranteeing students‘ success in their field. DXATC offers certificate programs in diesel, pharmacy technician, medical assisting, office management and manufacturing operations, along with dozens of short-term industry-specific courses. The school is working towards implementing certificate programs for the following technical careers: practical nurse, certified nurse assistant, phlebotomy technician, CNC machining, industrial and facilities maintenance, quality control technician, residential construction management, EMT and IT technician. Each certificate program is overseen by an employer advisory committee made up of local business professionals in that field. The committees review the program’s curriculum and training practices twice annually to ensure that the program is as current and effective as possible. DXATC is also accredited by the Council on Occupational Education and is partnered with NEXEO, a human resource agency that assists graduates with job placement. Many DXATC programs and courses are eligible for student financial aid, and tuition and fees for a yearlong program are typically about the cost of one traditional college semester. Hockett said a vast majority of DXATC students graduate debt-free. 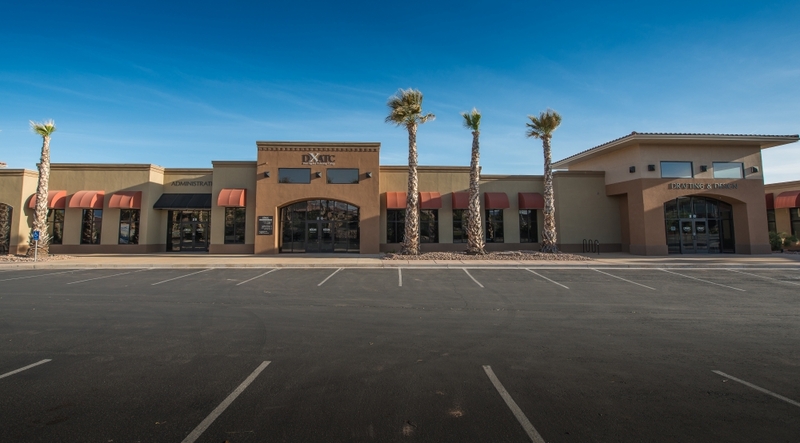 The school works closely with Dixie State University, to the benefit of students wishing to continue their technical education with a traditional college degree. A certificate program from DXATC counts as a full year of college (30 credits,) which can be transferred to DSU. Additionally, DXATC sponsors programs for younger students, such as SkillsUSA, a nationwide nonprofit partnership of students, teachers and industry professionals designed to help youth obtain the necessary skills to be successful workers and leaders. The SkillsUSA DXATC Chapter recently earned top honors at the 2013 SkillsUSA Utah Championships and will advance to the SkillsUSA National Conference Championships in June. The article talks about a nursing school. I thought we already had a nursing school here? Is this going to be in competition with what we already have, or is what we have moving up to the old airport? Can anyone enlighten me?